People with PWS are at a greater risk of health complications and serious medical events than individuals in the typical population. Despite our efforts to control for weight related complications, people with PWS continue to have a lower-than average life expectancy. 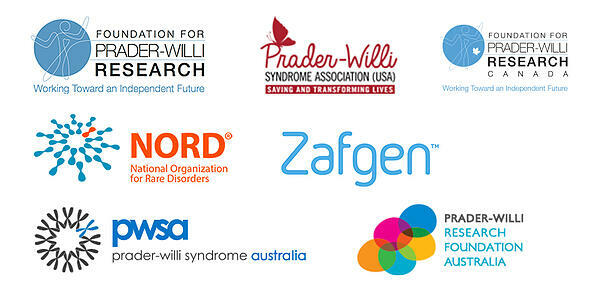 Our goal, through the PATH for PWS study, is to build on our body of knowledge, improve care for individuals with PWS and explore new treatment options. 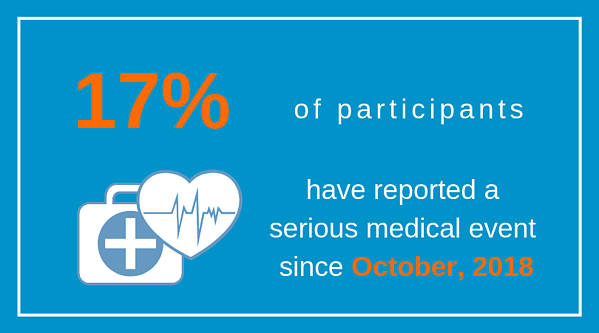 Study participation contributes to the actionable information available to our community. What Have We Learned So Far From PATH? As of February 28th, 325 participants completed the Thrombotic and Serious Medical Events survey and 55 of those indicated their loved one with PWS has experienced a serious medical event within past 6 months. This means that ~17% of people with PWS required medical care went beyond the typical day-to-day management of the syndrome. #PATHforPWS is documenting these experiences to allow for a greater understanding of the types and frequency of medical issues that we, as parents and guardians, may encounter while caring for a person with PWS. Note: Examples of events that are considered medically significant include pneumonia, major infections, a severe psychiatric episode (psychosis), significant self-injury, extreme aggression, suicidal thoughts, seizures, extreme food consumption in a short amount of time, severe edema, etc. The PATH for PWS study will also inform us about common food-related behaviors in PWS, and how these behaviors change over time in our population. 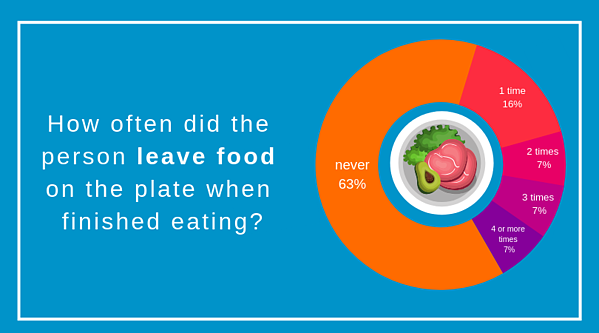 For example, the 'Hyperphagia and Food Behavior' survey shows that most individuals with PWS never leave food on their plates. Examining these behaviors over the four-year study period will provide insight into the variability of these and other behavioral aspects of PWS. What Are Participants Saying About their PATH Experience? From the very beginning of Christina's life, I recognized the importance of research in improving treatment for PWS and giving Christina the greatest chance to reach her full potential. When Christina was born 16 years ago, growth hormone treatment was just making its way into the standard of care for PWS. Christina was able to begin GH treatment in infancy and it is making a significant difference in her life. Without those families who were willing to participate in the research that led to GH treatment, Christina would not have had that opportunity. We are so grateful, and we are continually looking for how we can make similar contributions. Over the course of Christina's life so far, we have participated in several studies. 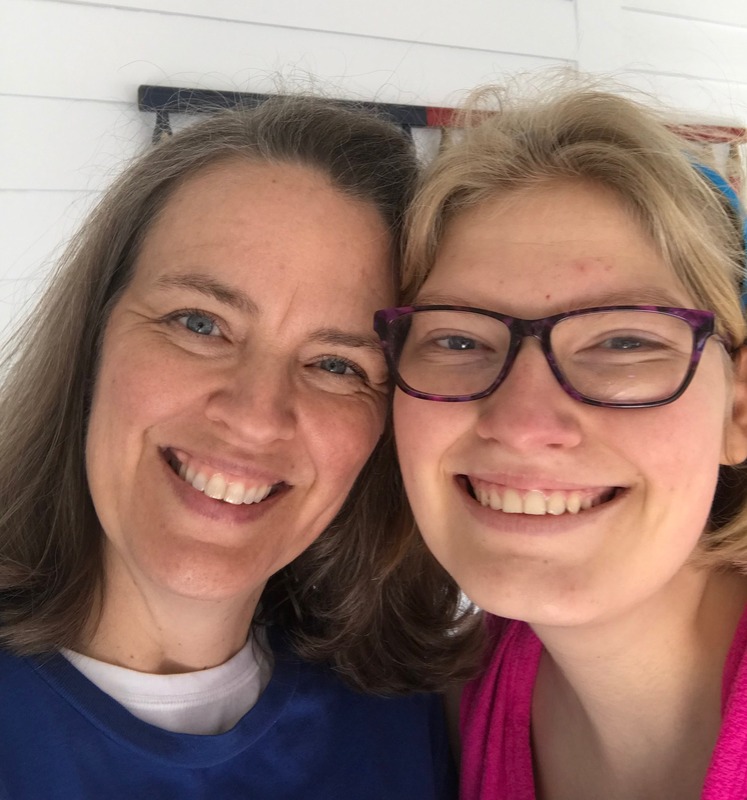 When the PATH for PWS study was created, I realized the tremendous opportunity and the potential impact the data being collected could have on Christina's future and the future of all others with a diagnosis of PWS. This has been the easiest study we have participated in - simply completing forms and having an optional blood draw. Over time, as I have completed and updated the forms, it has created a place where all of Christina's health information is captured, and I can see how her experiences compare to other individuals and families in the PWS community. I am excited to see how the data in this database will be used to create and improve treatments for PWS. One of the best ways for me to cope with the PWS diagnosis is to help others walking the same journey - those ahead of us, those alongside us, and those coming behind us. The Path for PWS Study is a straight-forward way for us to do that. It means so much to be able to be a contributing part of our PWS community. Q: My child with PWS lives in a residential facility. Can I participate in the PATH for PWS study? A: YES. We are currently partnering with two residential facilities to enroll participants whose loved one is in their care. If your loved one lives at Prader-Willi Homes of Oconomowoc or Latham Centers, the staff at these facilities will be available to assist in completing surveys. If your child resides in another facility, please email info@PATHforPWS.com and Lisa Matesevac, PATH Study Coordinator, will work with you and your child’s caregivers to complete the surveys. Q: There are many surveys in the Global PWS Registry. Do I have to complete all of them for this study? A: NO. Although we encourage you to complete as many surveys as possible, only 14 of the surveys are required in the PATH for PWS study and they are marked with an asterisk (*) on the list of surveys in the registry. You will be asked to retake 5 of the surveys every 6 months. You can find a list of the required surveys by visiting www.pathforpws.com. Q: How long will it take to complete all the surveys required for this study? A: We estimated that the initial set of required surveys may take approximately 2-3 hours to complete, but most parents are reporting that they complete the surveys in 1.5-2 hours. The time required varies depending on the complexity of the medical history, as well as the amount of information on serious medical events experienced by the participant. Please note that the surveys do not need to be completed all at once. You can save partially completed surveys online and come back later to complete and submit the surveys. In addition, serious medical event reporting only requires documenting from the prior 6 months. Q: Will I be compensated for my time in completing the surveys? A: YES. You will receive a $100 Amazon e-gift card upon completion of the initial surveys and an additional $50 Amazon e-gift card every 6 months when you retake the 5 required surveys. Q: I completed all the required surveys, but I haven’t received my gift card yet. When will I get it? A: Processing of the Amazon e-gift cards can take up to 2 weeks. However, if it has been longer than 2 weeks and you have not received your gift card, please email info@PATHforPWS.com and Lisa Matesevac, PATH Study Coordinator, will assist you. Q: How Do I Complete the Consent for the PATH Study? A: Login to your account at www.PWSRegistry.org. PATH consent can be completed by clicking the green ‘More’ button next to your child’s name. NEED HELP?? Lisa is available to help you enroll and answer all PATH related questions. Schedule an appointment with her today by emailing info@PATHforPWS.com. Appointments can be scheduled in evenings and weekends to accommodate any schedule. The Global PWS Registry is a database of comprehensive medical and behavioral information gathered from the surveys completed by participants. As part of the analysis, parents have an opportunity to view how their responses compare to others who have answered the survey questions. To view a survey summary, click ‘View Graphs’. As you answer more surveys, you will be able to view more graphs representing the experiences PWS community. Death of a loved one is a sensitive topic. If this occurs during the 4-year study, we can offer to pay for the cost of an autopsy. A Pathologist performs the procedure and coordinates with the funeral director. Your loved one is treated with the utmost respect and dignity. The procedure will not affect any funeral arrangements, including viewing, that you wish to make. This is a highly personal decision that has the power to accelerate research and transform the lives of countless families affected by PWS. It reflects a family’s choice to benefit others and honors the complex and challenging life of the affected child. You can make a tremendous difference in research into Prader-Willi syndrome by choosing to have this done. To make the necessary arrangements, contact the PATH Study Coordinator at (760)420-5878.